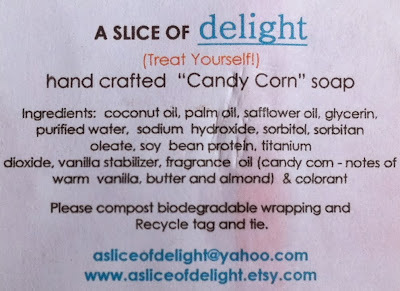 This year, Halloween treats appear to be playing with the candy corn or pumpkin spice concepts most of all. 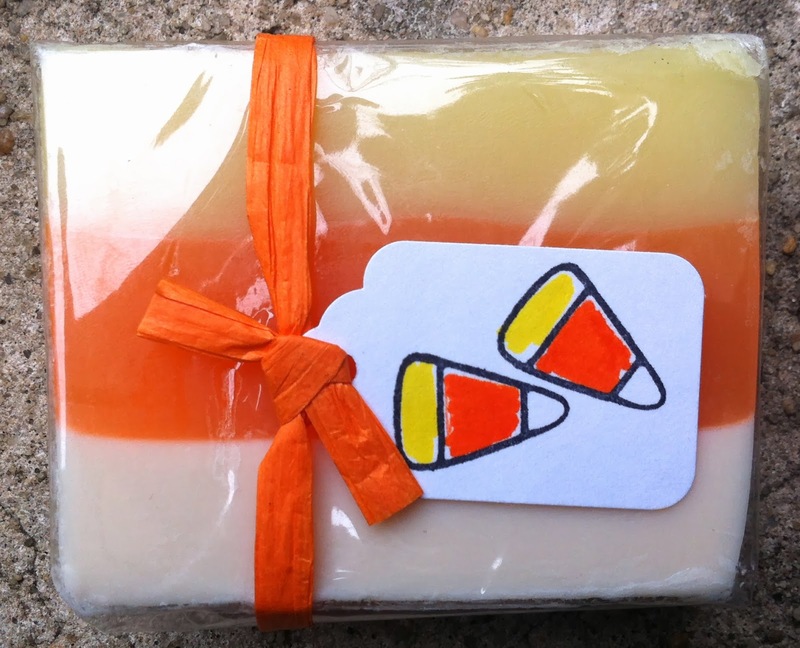 In this vein I present my new Candy Corn Soap, purchased at a local Northern California fair by my Mom. 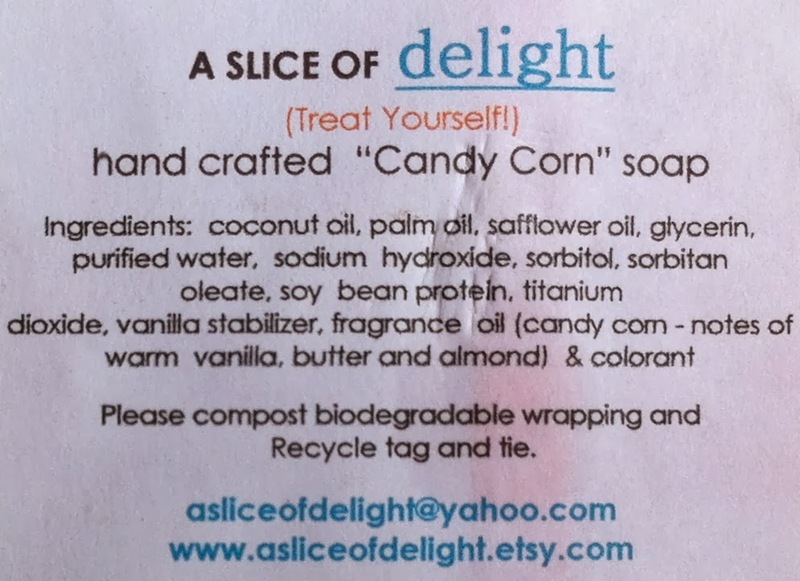 Basically, the soap smells like Butterscotch mixed with extra Vanilla. It's not exactly Candy Corn in aroma, but close enough once the tri-colored visuals are in place. Has anyone else experienced the flavor/aroma/design of candy corn in unlikely forms lately? Oh, so this is the explanation for what has now appeared in our shower. Nice! Aw shucks. Get the pun? !